Thanks to our computer-savvy daughter, I now have a blog. You can subscribe to it by clicking the button that says “Yes, please” under “Subscribe” in the right-hand column. 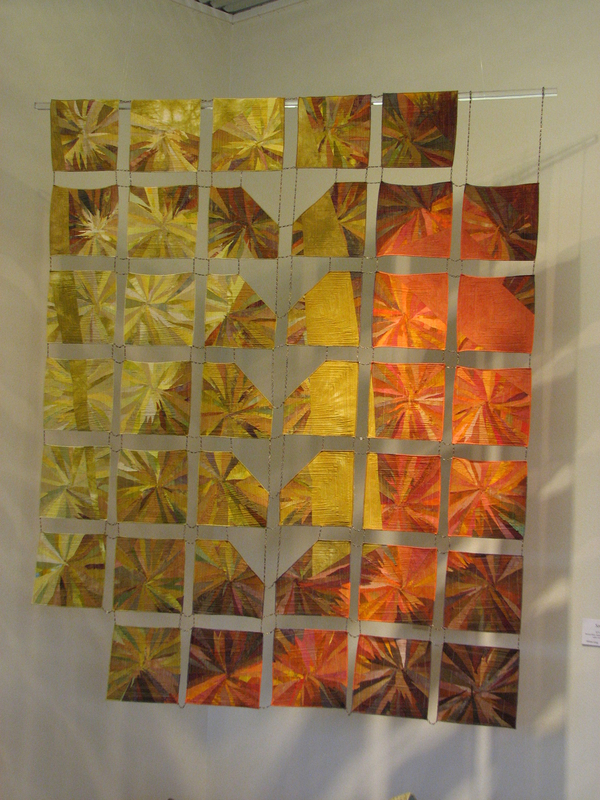 More news: two of my quilts, “Sorok” and “Sorok dva,” have been accepted into an exhibit at the Lynnwood Convention Center in Lynnwood, WA, 1/10-7/31/11. Both of these quilts are from my collage series and are made up of collaged squares joined with jewelry chain that I color altered with a butane torch. I’d love for you to buy one of them – or both! Please go to the Contact Me page for details. Stay tuned on the blog for more adventures of Melisse in creative computerland.